...having it be free and have a business model that is ad-supported ends up being really important and aligned. Now, over time, might there be ways for people who can afford it to pay a different way? That’s certainly something we’ve thought about over time. But I don’t think the ad model is going to go away, because I think fundamentally, it’s important to have a service like this that everyone in the world can use, and the only way to do that is to have it be very cheap or free." 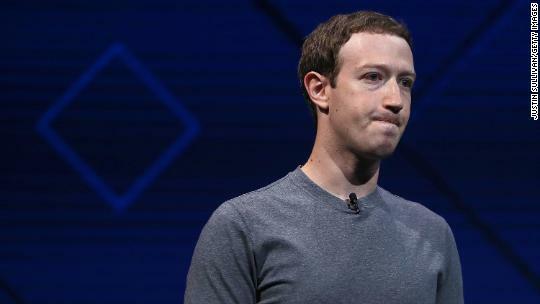 What Zuckerberg says translates as "yes, we capitalists are selling bad-actors (and value-subtractors) the advertising rope to hang us with (to paraphrase Karl Marx). We do it because we have not figured out a better way to scale services sustainably, especially to those with low ability/willingness to pay." But this is just a failure of imagination and experimentation. It is time to rethink payment for media in the digital age. Most users of Facebook, or any media service, would be willing to pay a fee -- if it were commensurate with the value they actually perceive, and their ability to pay. Charging for Facebook seems impractical only because we have not figured out how to create a payment model that works for a wide range of consumers. How can a vendor understand the right price for each user, at each point in time? This seems intractable until we consider letting the user tell us -- the user knows. The concern is that the user will not be fair, and will understate what he is willing to pay--or will fail to appreciate the cost of service. But we are in an era of relationship commerce – now we can build personalized relationships on mass scale. The solution is to build relationships with customers based on dialogs about value -- so that we can maintain relationships with those that set values fairly, nudge them to recognize the value, and cut off [or dial back] relationships with those who are unfair. The same technologies that enable ad targeting, individualized merchandising, and automated customer service can enable this too. I have been talking to companies of all sizes about just such an approach -- I call it “FairPay” (short for “fair pay what you want”). Advertising and data sales can still have a significant place in adding economic value, but can be limited to not detract from the core value proposition between the consumer and the business. 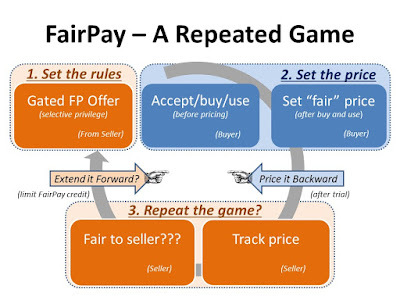 The same FairPay process can let users individually determine what level of advertising and data usage they will tolerate, in return for reduced payments. Can that be done? Can we get users to pay, and can we sustain our businesses with prices that consumers will accept as fair for varying levels of use -- and varying abilities to pay? Even if some know that others are paying less? 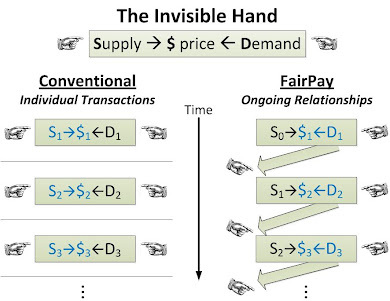 A large body of business experience and behavioral economics studies show that it can be done -- if we shift from a short-term transaction mind-set to build ongoing customer relationships into a repeated game that motivates cooperation and fairness. My article in the Journal of Revenue and Pricing Management, "A Novel Architecture to Monetize Digital Offerings" provides an overview (summarized more briefly in the ESADE Knowledge article "Three building blocks to monetize a digital business," and previously in Harvard Business Review, "When Selling Digital Content, Let the Customer Set the Price."). 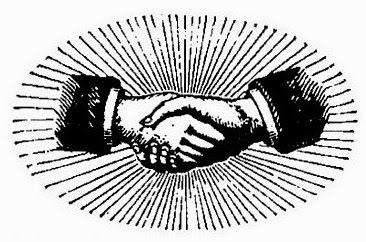 Another post, How Market Commerce Can Become More Cooperative, Fair, and Human, explores these ideas, drawing on the example of Twitter (when some people got excited about the idea of turning it into a cooperative). The same principles can apply to any digital service to consumers. 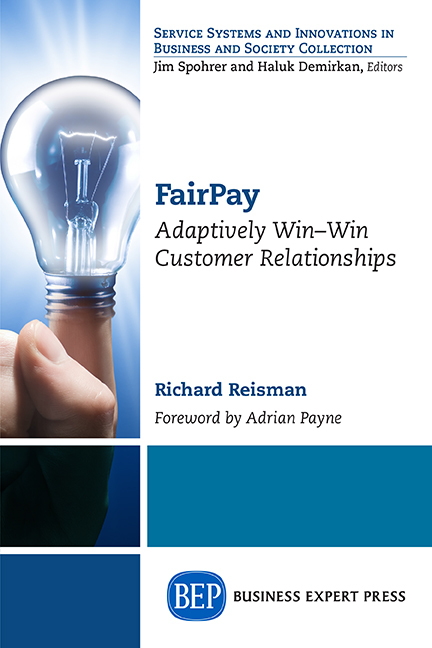 Even better, read my highly praised new book: FairPay: Adaptively Win-Win Customer Relationships. Very informative and interesting post it is. Facebook was in news for a very long time but I would say that it is one of the best platforms for promoting and advertising a business. There is even facebook ads management Los Angeles that helps in making a business famous on social media by advertising it over there.